My aforementioned love for conferences grows with every conference I am able to attend. Fortunately, just yesterday, I had the opportunity to further convince myself of the importance of conferences in my own personal growth as an educator by attending the truly unique Massachusetts Disciplinary Literacy UnConference held at Brookline High School. This unconference was organized by Salem State University’s illustrious Jacy Ippolito and focused, as the title promises, on disciplinary literacy. As an unconference, yesterday’s events were designed in order to shift the locus of expertise from the keynote speakers and presenters, as with a traditional conference, to the attendees, making this an unconference. Working with our collective expertise, the unconference attendees made for a fantastic collaborative and generative environment in which educators, administrators, and even MA state officials were able to share their knowledge, experience, and concerns on how to effectively implement disciplinary literacy in the MA school systems. We were encouraged to focus on learning from teachers who work in disciplines different than our own in order to broaden and challenge our understandings of literacy education. As you can imagine, the day was a whirlpool of networking, collaboration, creative problem-solving, idea-generation, and sharing of resources. In addition to the list of contacts, resources, and ideas I left the unconference with, I also left with a new conviction of the critical importance of disciplinary literacy education in the modern classroom. My goal for this post is to share some of that conviction and explain my own understanding of how teaching reading and writing within the difference academic disciplines can shape and guide our pedagogy. Traditionally, reading and writing has been understood, according to Timothy Shanahan and Cynthia Shanahan as “a basic set of skills, widely adaptable and applicable to all kinds of texts and reading situations” (40). This essentially means that, if you learn to read, summarize, paraphrase, and identify main topics in a piece of writing, you should be able to apply those skills generally across any discipline. The basic skills you learn in middle school need only to be honed and applied across the academic disciplines in order to achieve successful learning. So why are secondary and higher education literacy skills so poor? Why do universities and colleges from the entire array of academic disciplines bemoan the atrocious literacy skills their scholars bring to the classroom? “Teaching Disciplinary Literacy to Adolescents: Rethinking Content-Area Literacy.” Harvard Educational Review 78.1 (2008): 40-59. NYC Schools.gov. Web. 30 June 2015. Shanahan and Shanahan are making the point that the skills we nebulously think of as “reading and writing skills” actually work very differently within the different disciplines. A chemist will read differently than a mathematician who will read differently than a historian. The writing skills that a literary critic uses will be of very little use for someone who is writing a technical report or an article for a scientific journal. If we are not explicitly teaching students how to read within the respective disciplines they are studying, we are not adequately equipping them to have success with the content we are trying to teach them. The next step in solving this equation is equipping all teachers to be aware of and teach literacy skills within their discipline. This means helping math, science, history, and world language teachers to become aware of specific strategies and expectations that characterize reading and writing within their disciplines so that they can model and share those skills with their students. Students need to learn to read like a historian when reading a history textbook or to write like a biologist when writing a research paper for biology class in order to successfully access the disciplinary content. Sometimes problems with implementing this kind of disciplinary literacy education occur when we run up against the common misconception that literacy is an ELA teacher’s responsibility. Traditionally, ELA teachers are supposed to educate students on how to read and write so that they can apply those skills in their other disciplinary classes. In theory, this means that, if a student hands in a horrifically written lab report to her science teacher, the ELA teacher has failed his job in preparing the student to write in that genre. If a student is unable to comprehend the word problem in his geometry textbook, the ELA teacher has failed to adequately teach reading comprehension. The absurdity of this becomes apparent when we realize that many ELA teachers are not equipped with the disciplinary knowledge to teach scientific writing or mathematic reading comprehension. 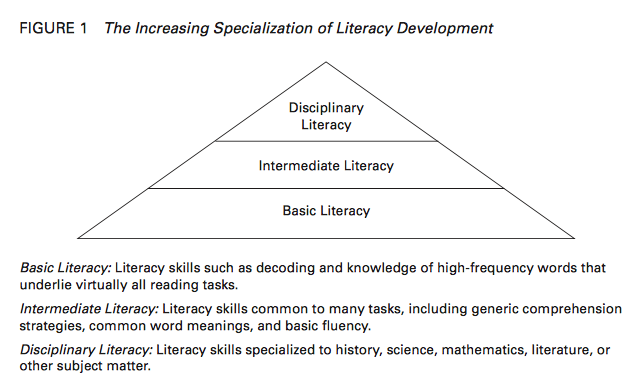 The literacy skills required in each of these disciplinary tasks are vastly different from the skills required to write analytical essays or read and analyze novels. Doug Buehl says it best by saying, “In other words, students need to be mentored to read, write, and think in ways that are characteristic of discrete academic disciplines” (10). All these ideas and more were the foundation for much of the discussion in yesterday’s unconference. It was truly inspiring to see educators from all disciplines and districts coming together to work towards a better plan for helping students achieve the literacy skills they need to succeed academically. Science teachers were learning how to teach reading skills and reading teachers were learning how to help their students prepare for their discipline-specific literacy tasks. My notes from our time together are fairly extensive and I hope this post is just the starting place for future thoughts and research on interdisciplinary literacy as a part of this blog. The time has come. I am starting my graduate thesis, which is required to complete my MA in English from Salem State. The expected tension, anxiety, excitement, and sense of impending discovery and possible doom is officially upon me as I begin compiling reading lists and brainstorming avenues of analysis. I am finding this whole process so helpful in remembering and examining the experiences students undergo when we ask them to navigate new and uncharted academic territory. The lack of direction, sense of disorientation, and feeling of potential inadequacy that I feel when approaching my thesis is not the least bit different from high school students’ as they attempt their first research paper or a particularly challenging piece of literature. The act of engaging in any real intellectual work requires courage, even at the high school level. I hope to keep this in mind throughout the process of composing my thesis in order to better understand and guide my future students through their own intellectual undertakings. 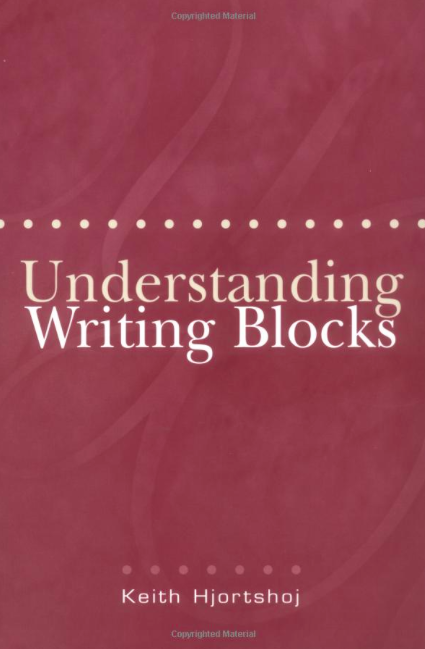 Not too long ago, I published a post about a conference I was able to attend in which Cornell Professor Keith Hjortshoj spoke on writing blocks and how to address them. Following this conference, I was able to take home copies of a few of Hjortshoj’s books and I am currently making my way through his work, Understanding Writing Blocks. This slender volume is a 150-page treasure trove with enough insight and complexity for an entire blog post on each and every page. I am only around halfway through the book currently and I am already overwhelmed by the amount of truly profound and perspective-altering wisdom that Hjortshoj has to share. I would venture to predict at least a few blog posts based on information gleaned from these pages. For now, however, there has been one thing in particular that has struck me in particular while reading Hjortshoj’s writing that I wanted to spend some time reflecting on. I have always considered composing of any kind, but particularly alphabetic writing, to be a very mental exercise. Writing is a form of communication in which the crux of the whole activity is to capture and share thoughts and ideas; the thinking portion of this process seemed to be the real heart of the matter. This view has shaped much of my thought on composition pedagogy and on my own composition process. As an unexpected alternative to this view, Hjortshoj holds a much more holistic understanding of writing as something that is supremely physical as well as mental and intellectual. In fact, he says “writing cannot be purely mental because thinking, in itself, does not produce writing” (9). For Hjortshoj, the physical elements such as the writing instrument, the paper, the environment in which the writing is taking place, the use of the human body to produce the writing, and a host of other entirely material factors are all necessary and important components of the composition process. In saying this, Hjortshoj is suggesting that, as teachers helping students develop complex and personal writing skills, we cannot focus strictly on their mental processes. If we neglect the physical aspect of writing, we leave holes in students’ ability to understand and develop their own systems for making meaning through their writing. Hjortshoj discusses the incorporation of the physical nature of writing into our teaching specifically in relation to helping students overcome blocks in their writing. He notes that students who are suffering from writing block often demonstrate a somewhat innate understanding of the physical aspects of writing by expressing their struggles “in the language of movement and physical sensation” and saying “that they feel immobilized, motionless, stuck, stranded, mired, derailed, disengaged, disembodied, paralyzed, or numb” (9). 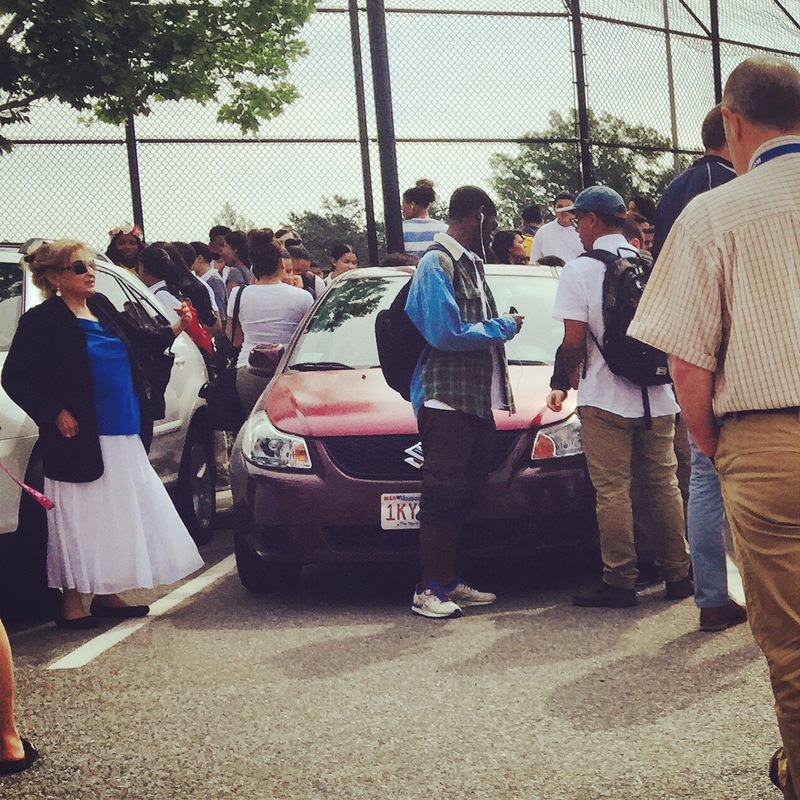 In situations like these, the traditional teacher assists are generally entirely psychological or mental, focusing very little on the potential physical or material hindrances to the students’ concerns. While Hjortshoj’s discussion refers specifically to helping students overcome writing blocks, his perspective is a necessary one for any teacher looking to strengthen her ability to insightfully and holistically guide students through their personal writing processes. Throughout his work, Hjortshoj provides ample opportunity to consider how incorporating the physical nature along with the mental nature of writing into our composition pedagogy creates a much more integrated and comprehensive educational experience for our students. He discusses helping students discover their writing processes by considering the physical aspects of their composing. Hjortshoj offers the idea that “taking a walk or making a cup of tea can be a form of prewriting if you use these activities to collect your thoughts” (25). He also proposes free-writing as a way to help students tangibly connect the physical and mental components of writing. In free-writing, “thinking and writing become a single, uninterrupted activity, both mental and physical” (29). In one particular anecdote, a student with a strong emotional or psychological drive for perfection found that he was able to write more freely on a piece of paper that was somehow marred or imperfect; the physical imperfection gave him the emotional freedom to experiment (16). 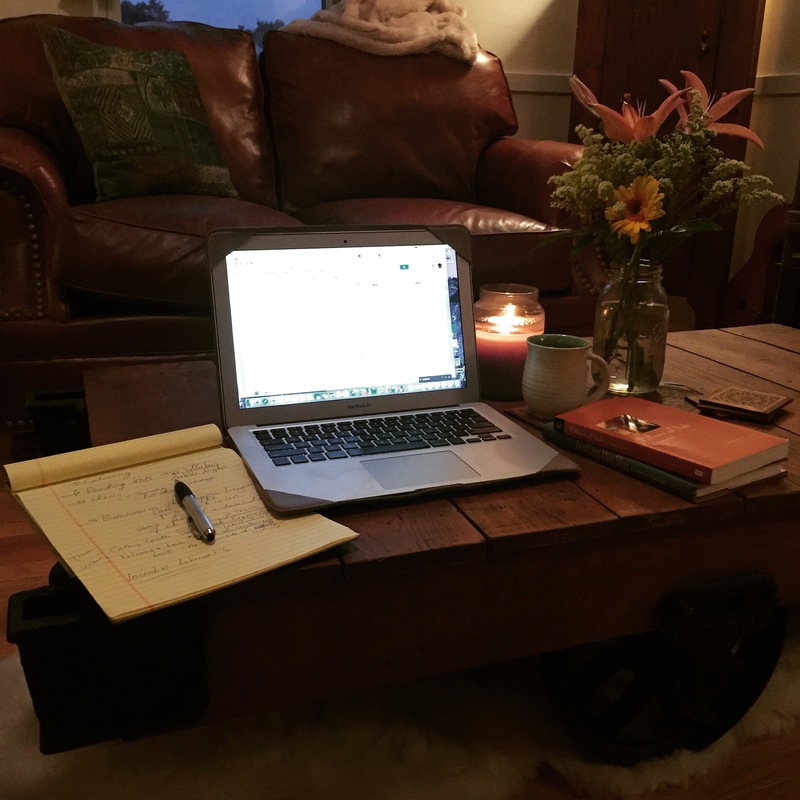 All of these are just examples of ways in which being open to the consideration of the physical in our view of the writing process can potentially benefit our students in their journeys to becoming skilled and independent writers. Hjortshoj plainly acknowledges that the physicality of writing is meaningless without the intellectual abilities of the human composer. However, he posits that the thoughts and ideas of a writer hold very little capacity to shape and impact if they are not communicated through some physical means. “Like almost everything else that we do, writing is both mental and physical. And if these dimensions of self in the world are not coordinated, writing will not happen” (10). As someone who is concerned with making writing happen, this is a statement that carries great weight and that I will have to think on for some time. There isn’t too much to love about returning to a chilly, rain-soaked New England from a sunny trip to the Bahamas. 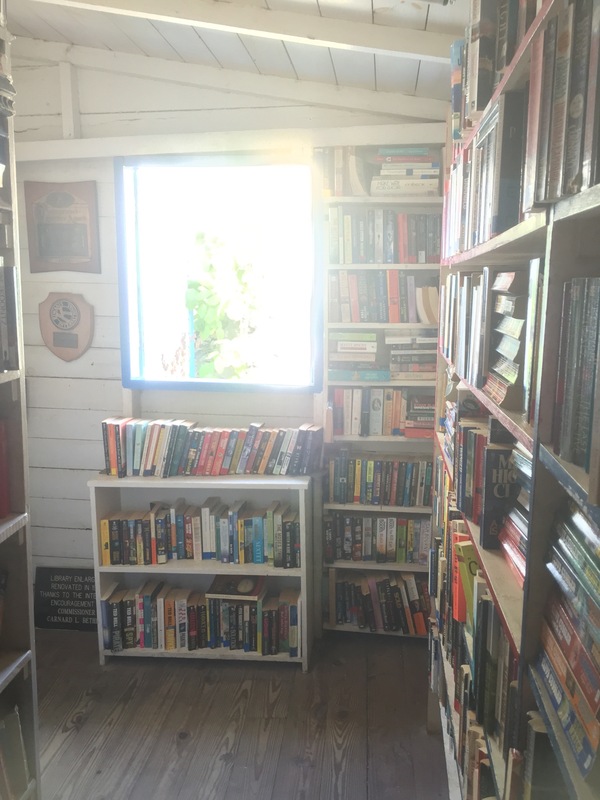 One of those sparse, loveable things, however, is the fact that I can share how one of the stops on my trip reminded me of the lifelong joy and goodness that a skilled reading teacher can gift to her students. When I was young, my family lived on a sailboat for many years. My mum, dad, sister, and I floated around from port to port following our wandering whims. My mum homeschooled both my sister and I from preschool straight up until we returned to the States which, for me, was around 5th grade. This meant that my mum taught me to read. I don’t remember many of the details of my reading education; the only things left are pieces of memories and a giddy love for the feel of a new book in my hands. 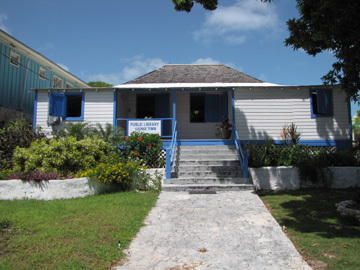 One of those hazy, rose-tinted memory pieces lives forever in the sunny island library in Georgetown in the Great Exuma islands of the Bahamas, where I had the unexpected chance to visit on this trip. My sister, dad, and I were strolling down the Georgetown streets in search of something other than books when my dad casually pointed to his left and said “Danah, do you remember that?” I looked up. I wandered slowly in through the open door, stepping over the cats and feeling like an eight-year-old holding her mum’s hand. 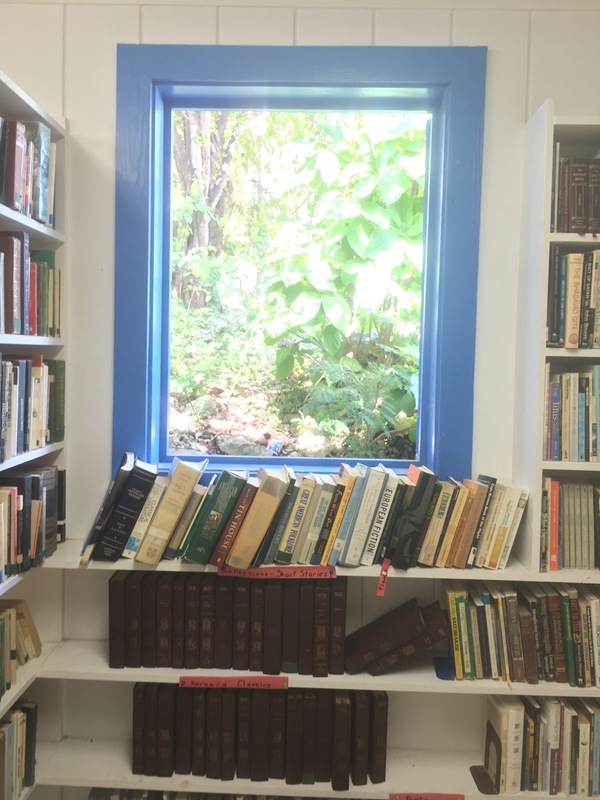 The creaky floors, the humidity-curled pages of the much-loved volumes, and the surprisingly smaller librarian’s desk were all right where I had left them. The memories crystallized into perfect clarity. We would then read our books together over the next few days, chatting about what was happening, favorite illustrations, words we didn’t understand, and hopeful predictions. My mum would always read anything my eight-year-old self recommended to her so that we could have serious discussions about it. Sometimes we would read together, theatrical voices and all. We shared our reading and it became an exciting part of every week, laying the foundation for my lifelong love of literature and writing. I recognize, probably incompletely, how incredibly blessed and privileged I am to have been raised in a literature-rich home under the watchful eye of my mother, the reading specialist. I understand that my situation is very unique and my intent is in no way to suggest that a background like mine is the only surefire recipe for a love of literature. My trip to the Georgetown library simply reminded me of the incredible importance of being a careful, intentional teacher who fosters joy and community in learning. Even if the specific teaching moments and strategies get lost in the dust over time, real love for learning can’t be misplaced. It’s the very thing we often suffocate in our fervent desire to educate. It’s the thing that is at stake and the thing to fix our eyes on as we wade through the complexities of curricula, texts, and grading. 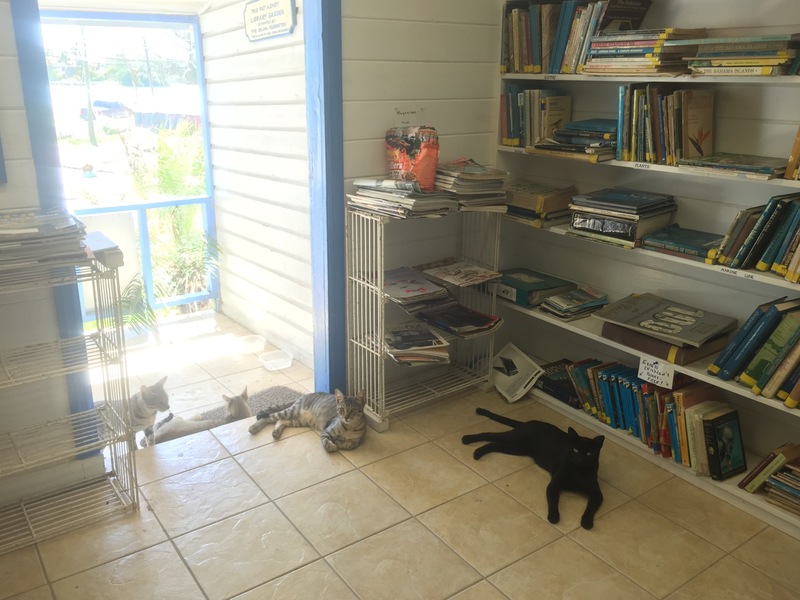 It’s the kind of thing one finds in a blue and white library on an island in the sun.